time Weekday and Saturday classes available. Please contact Tracey for latest schedule and fees and to book your place in class. Music & Movement Stimulation Program for Parents and Children. 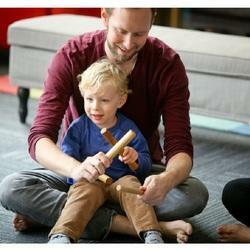 Introduction to Formal Music for Young Children. -Experience the world's best music and movement program, facilitated by an expert, passionate and qualified teacher. No other activity offers enhancement in all areas as much as Kindermusik does, that is why Kindermusik is the single best choice you can make for your child- it does it all. Plus you give them a foundation for formal music lessons, strengthen the parent child bond and take home the tools to continue their learning every day. 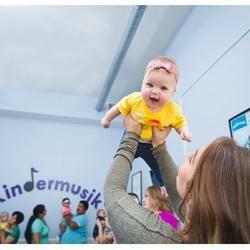 Kindermusik helps make great parenting easier for you with the power of music. It's a Fact: Early Music Education Makes Children Smarter. Science has proven that early integration of music into a young child's routine improves their ability to think, reason and create. Music activates the brain for learning. Tracey guides you every step of the way, explaining how the activities enhance your child's development and how you can continue the learning at home. You can bring Kindermusik home with great quality musical toys, books and the unique Kindermusik music CDs- exclusively available through licensed Kindermusik educators. 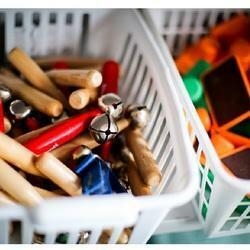 Optimise your child's Kindermusik experience and give your child the benefits of Kindermusik everyday.